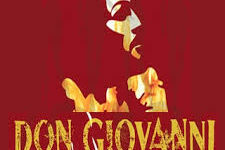 Considered one of the finest operas ever written, Don Giovanni is based on the legend of serial seducer Don Juan. Time is running out for notorious libertine Don Giovanni, but he doesn’t know that yet. For him, it’s just another day at the office – breaking into the bedroom of noblewoman Donna Anna, assaulting her, murdering her father, and then, on stumbling across a wedding, attempting to seduce the bride Zerlina and later beating up her fiancé Masetto. The Don’s misdeeds are starting to catch up with him. Wronged ex-lover Donna Elvira is on his trail, Donna Anna and her fiancé Don Ottavio have sworn vengeance, Masetto and his friends want to avenge Zerlina’s honor, and to cap it all, an intervention from beyond the grave comes when the statue of the man he murdered – along with several spectral victims – come to dinner. Performed in Italian with English supertitles. A UWEC Music and Theatre Arts Production.